This white fabric hardback lamp shade is a great choice to give a contemporary update to any lamp. This plain white polyester fabric hardback drum shade has a rolled edge for a clean, contemporary look with no lining. A chrome finish spider fitting is installed. White polyester fabric drum shade, unlined. It's about right aspect ratio and size for the lamp I purchased at a second hand store. I hope its the right shade of white to off-white. Contemporary and modern but melds nicely with contemporary. Lamp shape is cylinder 16inch height 6 1/2 dia indigo finish Best shade and size? BEST ANSWER: The manufacturer recommends using up to a 100 watt A19 bulb. But, you will need to check with your lamps maximum wattage as well. 16 x 11 drum in white ? BEST ANSWER: I have added some possible options below. 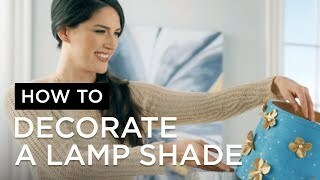 Does this shade stay white when light is turned on or does it get off white and/or yellowish? Thanks so much for taking the time to answer! BEST ANSWER: Mine appears to stay white. Definitely a warmer white because of the light bulb but I wouldn’t call it yellow. They absolutely stay white. I've had them about a year and a half and have noticed no yellowing. Yellowish when the light is turned on I'm afraid. 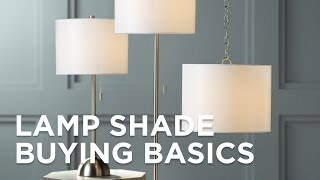 Is this lamp shade translucent (let's light through for ambient lighting) or does the light mainly go through the top and bottom of the shade? BEST ANSWER: Mainly thru top and bottom. I use very bright bulbs. Light goes through the shade. Very pleased. Perfect replacement shade. Love these lamp shades, crisp white and the perfect size for what I was looking for. Shade is bright white with a very slight grain in the fabric. Very happy with it.